Brainstorming, planning out and implementing a fresh new (or revised) marketing plan ranks at the top of our list of priorities and fun. This is what we live for – continuing what works well, refreshing what’s not, and always moving forward at an agile and cautiously optimistic pace. Do you have changes or improvements to make to your 2016 marketing plan, or feel like there’s something missing from your existing plan? We’ve gathered the top five digital marketing trends our team of experts at WindFarm think you should know about, test and potentially add to your marketing strategy. “If you are a brand with a strong visual component, it’s a great time to jump on board with Instagram ads, before the market gets more competitive. Advertising on Instagram should not be ignored – there are more than 400 million users, almost half of them female, and a large percentage fall into the Millennial age range, which is a key group of prospects for many companies. "I am really impressed by Facebook's rollout of their Lead Generation Ads. We've already seen great results, even with limited budgets. They've been able to help eliminate the 'leaky' part of the funnel in the buyer's journey when users leave Facebook and go to a website or landing page which are sometimes slow to load or not mobile friendly. “Facebook advertising has a number of advanced targeting options – one of the most powerful is the ability to retarget your website visitors. By installing a Facebook tracking pixel on your website, you can build an audience of people who have visited your website recently and then retarget them with a Facebook ad. This allows your business to stay in front of potential customers even after they leave your site. “Despite the overwhelming increase in mobile traffic to websites, most companies are still designing their site to be viewed on a laptop or desktop computer. ‘Responsive design’ ensures that your website can be viewed well from any device: mobile, tablet and desktop is today’s modern design standard. This eliminated the need for companies to build a separate ‘mobile-friendly’ version of their website which was a big and important leap. Nearly all, new websites are now built to be responsive, but they are still designed primarily to be viewed from a desktop. Some of the most important best-in-class practices to include in your marketing plan are: checking analytics frequently, tracking your ROI, increasing the amount of budget devoted to inbound efforts, understanding that inbound is a ‘long game’ in marketing, increasing budgets now for inbound efforts can mean increased results and greater impact down the road. Get all the inbound stats you could possibly need within this State of Inbound 2017 Report. What digital marketing trends worked for you in 2015? 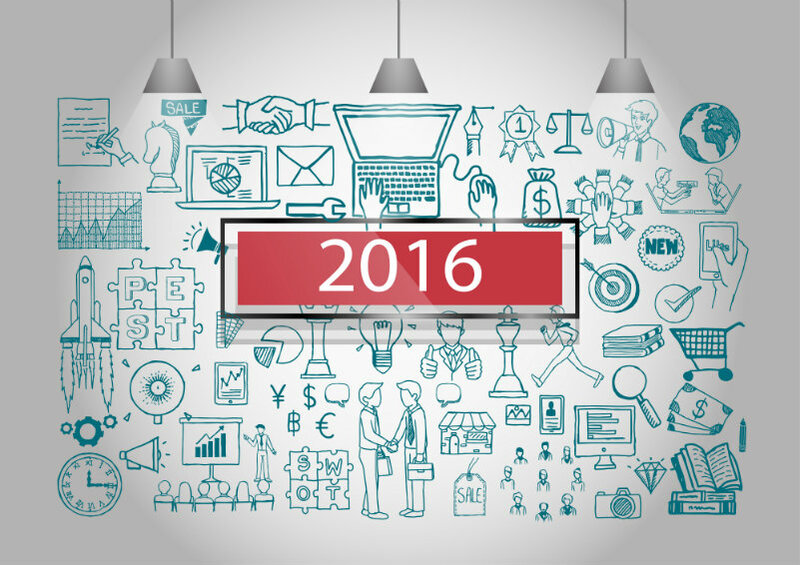 Which trends are you going to add to your 2016 marketing plan? Share with us! Josh is the founder and CEO of WindFarm. Josh enjoys helping brands navigate the transition from traditional to new media and preparing their organization for digital-social marketing lead generation and success.